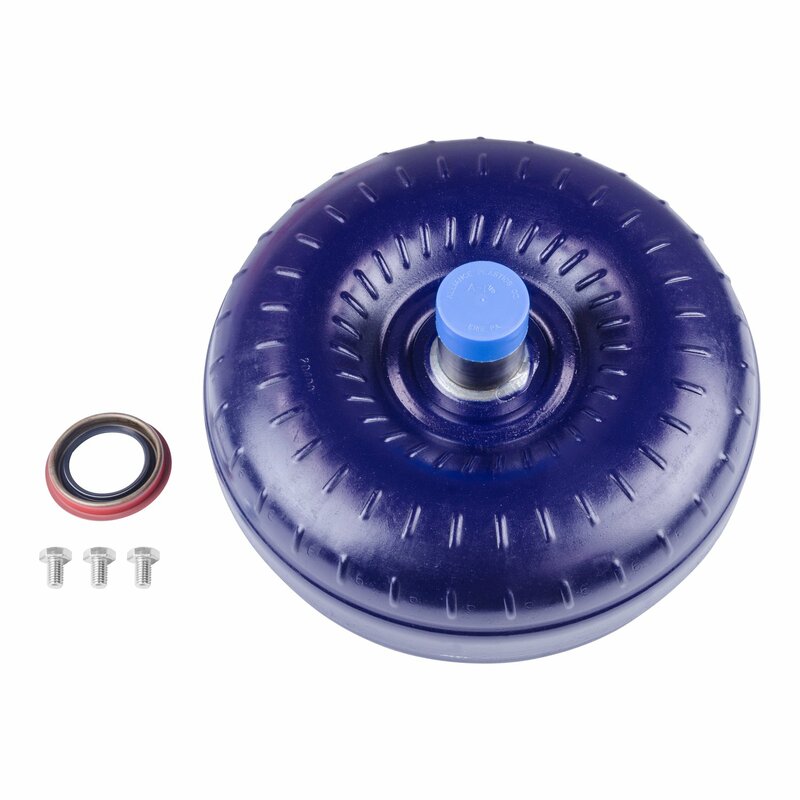 Torque Converter - Tork Master 2400 for GM 1965 to 1991 TH400, 425, 375 and 1968 to 1981 TH350, 375B (not 350C) APPLICATION: Tork Master 2400 for GM 1965 to 1991 TH400, 425, 375 and 1968 to 1981 TH350, 375B (not 350C) The Tork Master is B&M's lowest cost performance torque converter. The Tork Master is an excellent all-around performance street converter. The best value priced street converters available, Tork Master converters come with a new precision pump drive tube and all are pressure tested and fully balanced. The Tork Master torque converter is not recommended for big block or supercharged applications. New alloy steel pump drive tube. Needle thrust bearing when factory equipped. New thrust washer between turbine and cover when required. Due to torque converter core availability, the actual converter size may vary but performance functionality will be as advertised.